Entrance exams for private schools can inspire fear in a parent's heart, but becoming stressed about these exams will rub off on children, so parents should aim to stay calm while providing useful help and support to children who might be sitting their first exams. 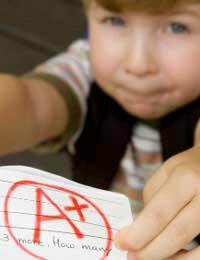 This article will look at how the exams are usually structured, and how parents can best help their children to succeed at entrance exams. English - candidates may be asked to write a creative-writing story, within timed, exam conditions. Children might not have faced some of the questions in these exams before, so it's a good idea to practice with your child, especially if his or her current primary school does not provide training. It is a good idea to get hold of practice papers (available in high street stores like WH Smith as well as on the Internet), which will show your child the kinds of questioning that he or she is likely to face in the exam. Some parents choose to employ a private tutor to help train a child for entrance exams. They will be able to provide a large variety of practice questions and will also be able to provide advice about the nature of the exams. Fees are usually start at about £20 per hour for one to one tuition. Other people who may be able to help include your child's current teachers, and/or head teacher, as well as parents whose children sat the exams in previous years. Avoid coaching your child - learning responses and techniques by rote might cause a child to become unstuck if the paper's style of questioning is slightly altered one year, for example. Often the best schools use the entrance exams as a form of creating a short list of their desired candidates. They will then invite those candidates, plus their parents, to come to the school for interview. Advice on this is available elsewhere on the site.